Finalise your team before 7:50 pm AEDT. Benny, Banksy and Boydie, AKA the BasketBall Blokes, here for your Round 7 NBL Fantasy guide. 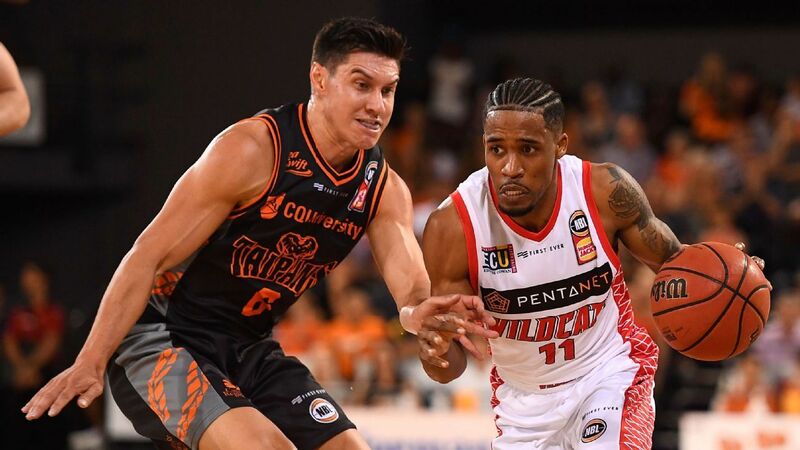 Last week we saw a couple of Melbourne United boys in Boone and DJ Kennedy hitting the triple figures for the round with 121 and 106 respectively. Those lucky enough to have Boone as Captain would have been as least 30 points ahead of anyone else for the round so well done if you did! Once again Bogut was HUGE with a 90 in just a single game. He is a must for your team for Round 8 and beyond so work your cash balance so that you can get him in after this round, or get him in early if you want to risk it for the biscuit! We had a changing of the guard at BasketBall Blokes headquarters this week with Boydie sinking down to the Ordinary bloke due to no Boone and starting Kay on a single. Benny took the title of Top Bloke for the week. In injury news for the upcoming round, Trevor Gleeson has said that White, Brandt and Martin will all face fitness tests on Wednesday, with Terrico ahead of the other two, so keep an eye out on twitter for the latest prior to lockout. The other player to miss last week who could be fantasy relevant with their upcoming schedule is Lisch, who sat out last round after copping an elbow at training from Dane Pineau. We think he should be back this week but wait until it is confirmed. These players have received major price rises after Round 6. Bogut continues to get more expensive for non-owners coming into a huge run of double games. Jawai, Froling and Steindl the key cash cows on the bench at the moment still increasing in value. Casper recovering from his loss in value following a slow start to the season, but boy has he found his form again these past couple of rounds! Four Illawarra Hawks on the list of players bleeding cash after their run of horrid form. McCarron and his price feeling the effects of the return of CG43 to the United rotation. For our joint team this week we will be looking to trade out Boone for Kay based on schedule and we will possibly look to trade out Barlow for Steindl for a cash grab, with the aim of being able to afford Bogut the following week. The reason for the first trade is to switch across 1 starter (Boone) to the best big man starter for Perth (Kay) who has a run of 4 doubles starting this round. As we discussed in the podcast this week, Perth have the best schedule over the next 4 rounds while Melbourne have a single this week, a double Round 8 and then a run of 6 singles. Therefore, we are taking advantage of Barlow’s price, which we think might be close to peaking after only increasing $15k this week, to get a bench player in reasonable form with a good schedule in Steindl. Obviously, this bench downgrade also frees up cash for next round when we will be looking to bring in Bogut as a minimum for Sydney’s run of 3 doubles in a row, and looking longer term Sydney have 8 doubles in the next 10 rounds! The risk of loading up on Perth players this week is that we could see a return of any of Brandt, Martin and Terrico White who have all had multiple weeks off the court with injuries, which could lower Kay and Cottons fantasy scoring, although both have been fairly consistent through the year. If you are in the favourable position like our joint team of only needing to trade 1 starter to keep all 6 starters on doubles, now could be a good chance to upgrade a bench player to see out the rest of the year. A couple you could look at are Conger, who looked decent in his first game back in the NBL last week, Patterson from Brisbane, although their schedule is not great and even Jawai, who looks like a good little upgrade for those with say Hodgson as your bench centre at the moment. As per our podcast Twitter Q responses this week, the other big question is do you get Bogut in this week, even though he is on a single. Let’s be honest, he is absolutely dominating fantasy scoring this week and is a lock for Round 8 and onwards, but If you have the spare trade and don’t mind playing him on a single this week against Melbourne in Melbourne (their last meeting was Bogut’s lowest scoring game with a 50) he could be an option for you. If you have say a Kay, a Long and Wesley all on doubles, then you would hope they will all outscore Bogut’s 50-80, which is the risk the BasketBall Blokes are willing to take. Don’t know who to trade out?? If you haven’t worked it out from the above, Melbourne players should be your priority outs this week based on schedule, but keep in mind that they do have a double next week, so it could be worthwhile riding Casper’s recent form, or even DJ Kennedy for an extra couple of weeks. Forward planning, you will ideally want to be in the position of owning none or a maximum of one Melbourne player come round 9 with their schedule going forward. As a rule of thumb, we Captain someone on a double. Bogut is almost reaching the point of making our top 5 on a single after being in the top 3 scores last week, despite United and the Breakers playing two games each. With 4 teams on a double this week, plus the fact Bogut scored 50 last time out against United, I don’t think we can play that card until next week. 5. Nathan Sobey – Remember that massive triple double Sobey put up earlier in the season? Yeah I certainly do as a non owner. That was in a game over in Cairns. Sobey now faces the same Cairns outfit but at home, followed by the mess that is the Hawks in an away game. History – tick! Match-up – tick! Sobey could be and should be huge again. 4. Bryce Cotton – Perth play both games this week against New Zealand. Once at home and once away. Cotton played the Breakers at home earlier this season and put up a 49. You only have to look as far as Cotton’s last 5 scores – 46, 49, 56, 32 and 45. In light of Perth’s injury concerns recently, Cotton has stood up and carried the team and this has been reflective in his last 5 average of 45.6 fps. Keep an eye on the injury status this week, with Terrico and Brandt both a possibility of returning to the Perth lineup. 3. Tai Wesley – The ‘Grown Man’ plays Perth both home and away this week. He scored a 56 in their earlier match-up and that was over in Perth. Wesley had his poorest fantasy score for the season last game with a 28. Stick with him. Prior to last game, he had been amazingly consistent, with this being his only score below 30 for the season, with most scores falling between 41 and 56. 2. Nick Kay –This guy does not get enough credit. Cotton is the face of the Wildcats, but Kay has done a mountain of work, particularly while Perth has been undermanned missing 3 of their 5 starters. Kay scored 42 at home against the Breakers last time out, but the amazing stat for Kay is he is yet to drop below 42 fps in a game this year! Phenomenal. At Kay’s worst that’s 84 points on a double. Expect more, particularly if Brandt remains on the sidelines. 1. Shawn Long – As our number 1 captain selection last week, Long put up 85 fps for owners, highlighted by his 52 fps against Bogut. What I loved about his last game, was he managed to play big minutes. He started with a huge first quarter like he does most games only to end up in foul trouble with two fouls part way through the quarter. What was different about this game was he didn’t commit another single foul for the rest of the whole game and stayed out there for over 32 minutes, a season high. 4 out of Long’s 8 prior games this season, he only saw minutes in the teens on court. As a result, Long put up a 25 point, 9 rebound, 3 assist stat line, and we can expect much the same if Long has finally found a way to stay out of foul trouble. 50fps last time out against Perth. I can feel a 100+ point performance coming for our number one Captain over his double this week! Perth have the best short term schedule with four straight doubles. Kay and Cotton the obviously picks here, but keep an eye on the potential return of other key rotation players and how this may effect their output. Heading into Round 8 Sydney have a ridiculously friendly fantasy schedule – 3 doubles on the trot – 5 doubles over the 6 rounds – 8 doubles over 10 rounds. Make sure you are planning to bring Bogut in for this amazing run of games if you are currently a non-owner. He may well make our Captains segment redundant! Be conscious of Round 9 in your forward planning, with only Perth and Sydney on doubles.